When you think of title-winning agility dogs, a canine who looks like Max might not be the first sort who comes to mind. After all, he’s a mixed breed who’s definitely on the dinkier side of the spectrum. But Max’s small stature hasn’t stopped him from scaling the heights in American Kennel Club and Canine Performance Events competitions, as his Instagram account shows. Here’s how this plucky chap does it. Max wound up living with his current humans back in July of 2011. After being told that a nearby family was moving but couldn’t bring along their “mixed breed dog in a crate with an old rope and a child’s monkey toy,” they took the pup in with a goal to finding him a new home. You know how this one ends up: Yep, Max wrangled his way into their hearts and turned his temporary situation into a forever one. At first, Max was a perky bundle of energy who loved to run around and play, to the extent that his humans affectionately called him something of a “wild child.” Obedience classes were duly booked, and Max learned to curb his freewheelin’ instincts and also get along with the rescue cats he found himself sharing a house with. 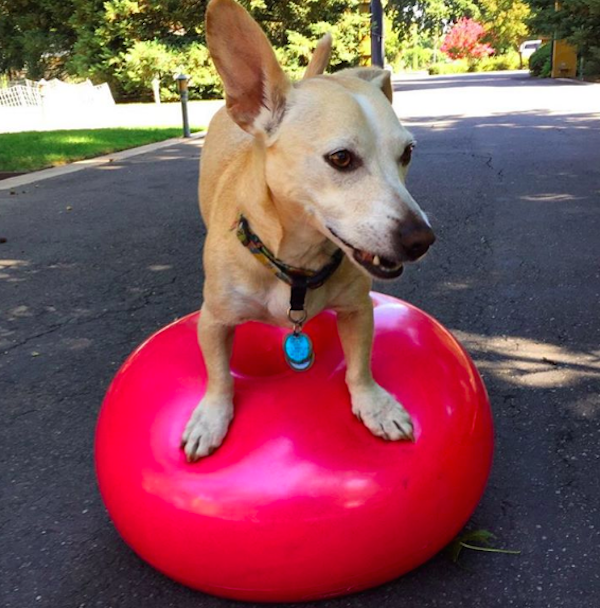 “We knew we had to find something that would allow Max to use all that energy and be fun for all of us,” says Max’s human. After asking around friends, the idea of enrolling him in agility training was raised. 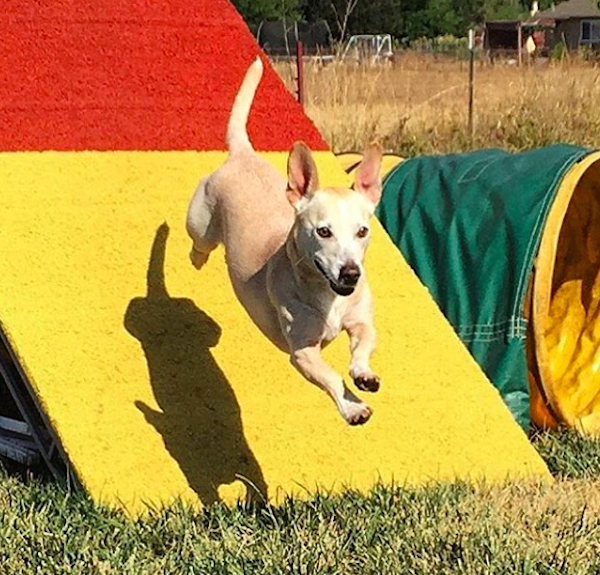 Despite his diminutive stature, Max has bloomed into a real deal agility pro. “Max definitely did not look like the typical agility dog,” admits his human, “but we were confident he could make up in effort what he lacked in physical stature.” It wasn’t long before he’d begin competing in agility contests. Officially, Max made his debut at an agility contest three years ago. 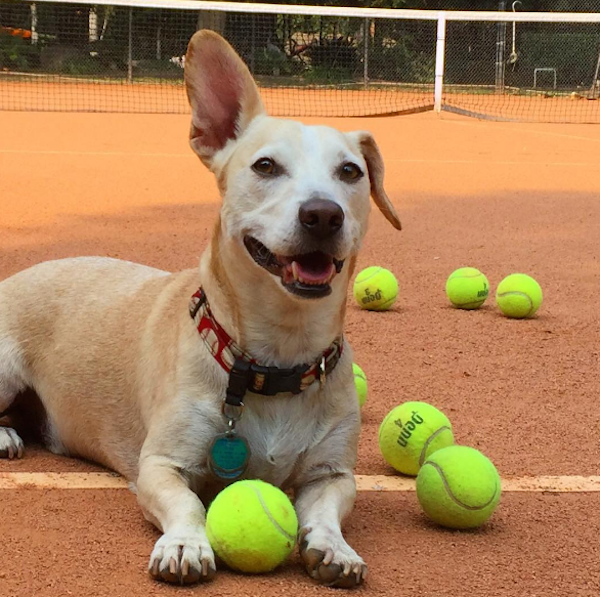 After being registered in the American Kennel Club and the Canine Performance Events organizations, he was given the go ahead to engage in competition. Right now, Max competes at Championship Level in CPE contests. 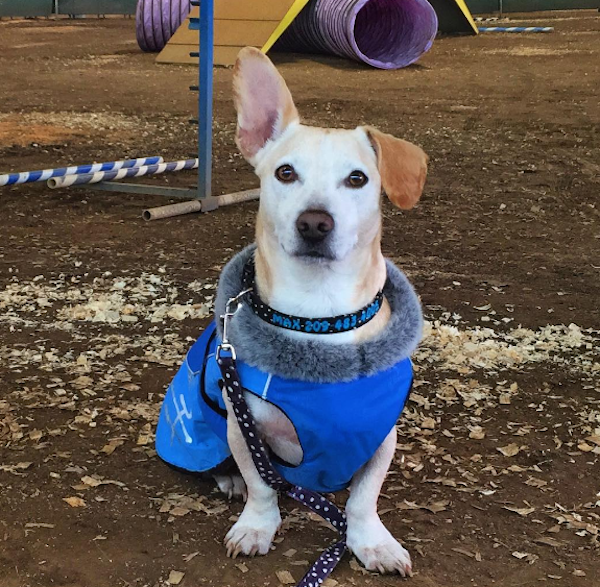 Last March, his talent was rewarded when he scooped the Agility Trial Champion title and secured his first C-ATCH award. Over in the AKC world, you’ll find Max testing himself at the Master Level while proudly showing off his two titles: Agility Master FAST Excellent Preferred and Agility Master Jumpers Excellent Preferred. 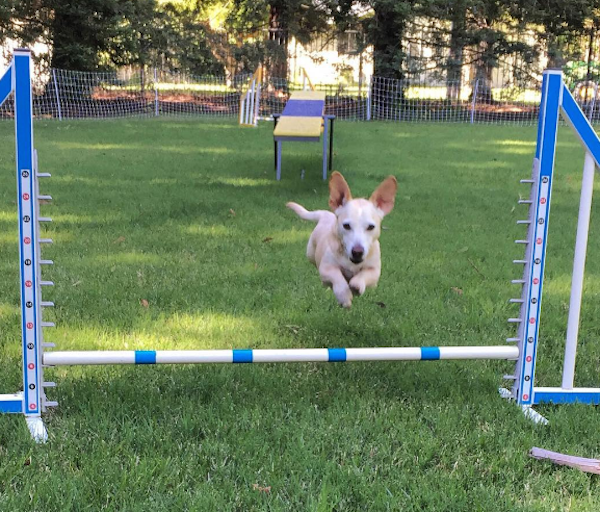 While he’s obviously got a bunch of natural talent, Max’s agility titles don’t come easy and he’s a stickler for maintaining a regular training regime. In fact, if you follow along with his progress over at his Instagram page, you’ll see that this is one canine who’s all about embracing the Fitness Friday hashtag. 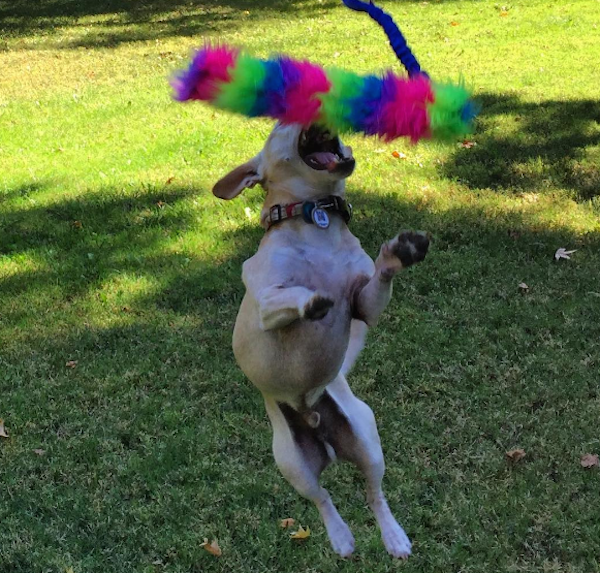 Check out more of Max’s athletic feats over at his Instagram account. 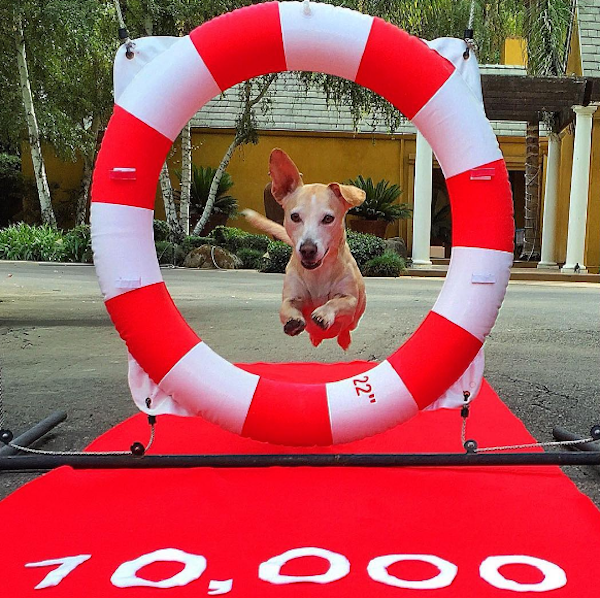 The post We Love These Photos of Max the Unlikely Agility Champ appeared first on Dogster.